Enjoy the casual atmosphere and delicious food of cafés in your own home. 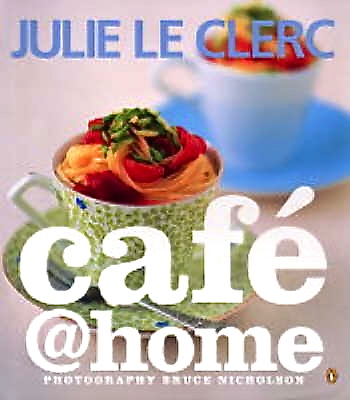 Café@home will help you to fill your house with the sights and smells associated with café eating. As well as wonderful food, Julie Le Clerc shares some of her secrets to give good and entertaining at home that special edge. The focus is all about sharing relaxed and informal occasions with the people you care about. Pamper your family and friends!